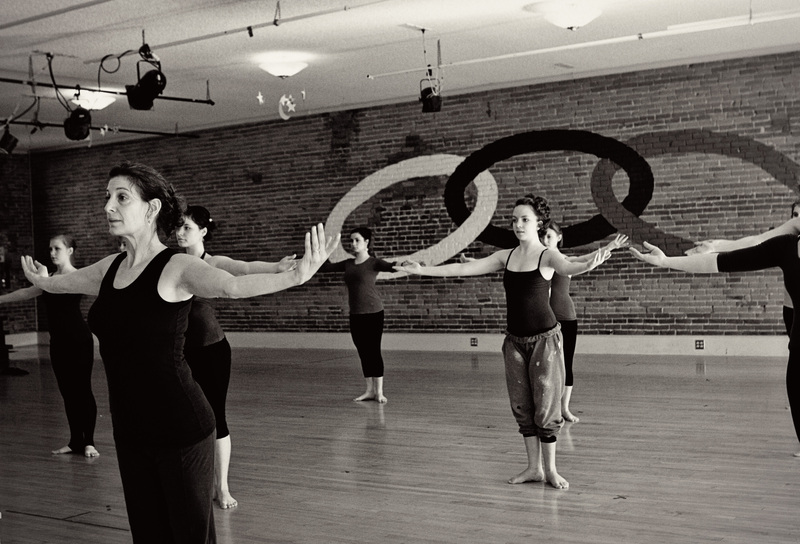 MDT is a dance program in Corvallis, Oregon providing Modern Dance classes for ages 6-21 (including beginning teens and advanced classes) and Creative Movement classes for ages 4 1/2 to 6. Donna Blatt-Ervin began her studies in Ballet, Modern and African Dance in 1969 at John Dewey High School in Brooklyn, New York. She studied Graham technique with Liz and Clive Thompson at Staten Island College, with Doreen Richardson and Sophie Maslow at New Dance Group Studio and at the June Lewis Studio in New York City. She studied Horton Technique with Milton Myers and Joyce Trisler at New Dance Group and at the Alvin Ailey Dance Center, and Afro Haitian with Louines Louines, Jean Leon Destine and Rod Rogers. Performance credits included touring with the Staten Island Ethnic Dance Ensemble and demonstrations and performances at college dance festivals sponsored by the State University of New York. She has performed with Oregon Dance, Dance Gallery and in West Side Story with Albany Civic Theatre. Along with members of MDT’s Advanced Performance Group she performed works by Sean Curran and Dayton Contemporary Dance Company at the Ashland Dance Festival in 2002. Prior to starting Modern Dance Technique in 1991, Blatt-Ervin taught African Dance at Linn Benton Community College, Creative Movement and Modern Dance for Corvallis Montessori School, Primary Palette, Parents for Education Plus and taught as Artist in Residence at schools throughout the Willamette Valley. She was a founding member and choreographer for the Willamette Valley Children’s Theatre. Other choreographic credits include Mid- Summer Nites Dream, Magdalena for Corvallis Community Theatre, La Cage aux Folles for Albany Theatre. In addition to Artistic Director of MDT she is currently choreographer for the Majestic Theatre’s 2013 production of Sound of Music. I would like to share that one of my greatest joys is to sharing my love of modern dance with my students. My goal is to provide them with a solid foundation in both the classical and also contemporary styles of modern dance and to inspire them by exposing them to as much world class professional dance performance and instruction as are available to us. This has inspired many of my students to further their study of dance, to seek new ways of expressing themselves and the world around them through movement. I am gratified that I have played a role in their development as performers, choreographers, teachers and artists.